Considered to be the most disgusting smells ever recorded, Stank Breff will leave enemy Pokèmon temporarily stunned. 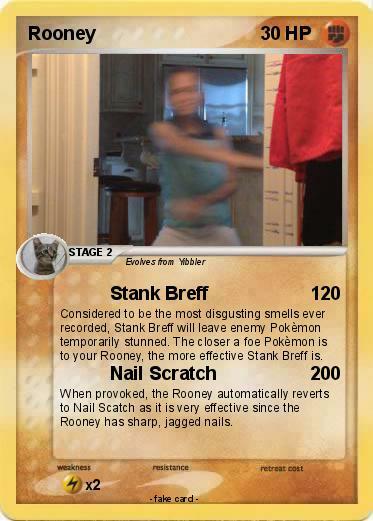 The closer a foe Pokèmon is to your Rooney, the more effective Stank Breff is. When provoked, the Rooney automatically reverts to Nail Scatch as it is very effective since the Rooney has sharp, jagged nails.